A dental cone beam computed tomography (CBCT) scanner is a very detailed type of x-ray machine. By using cone shaped beams this CT can generate three dimensional images of the teeth, facial structures, nerve paths and soft tissue in a single scan. 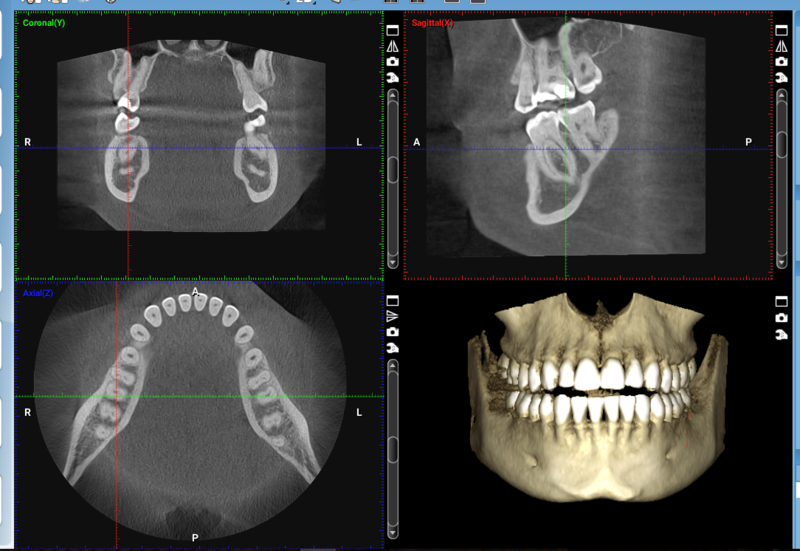 What is a CBCT scan used for? How safe is a CBCT scan? With the advanced technology in digital imaging systems we can collect so much more data in one 3-D image than multiple standard 2-D images. Although a CBCT scan is not radiation free, there are many ways that exposure can be reduced and limited. A CBCT is not for everyone and should be taken on a case by case bases. Please visit this link: FDA Medical/Dental Imaging for more information on the benefits and risks. Don't hesitate to call our office with any additional questions or concerns.